Fancy a trip to the dump in a Porsche? Sounds bizarre. 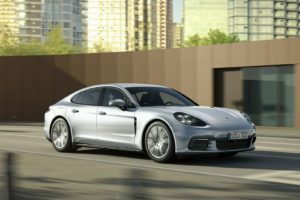 But the new Porsche Panamera Saloon is a gorgeously designed, highly desirable machine that’s fast, fun to drive - and super practical enough to help with the chores. Because these don’t sell in great numbers, owning one always feels a bit special. 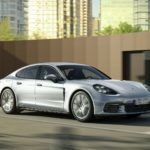 And since Porsche have smartened up its previously in-cohesive looks, owning a Panamera now feels even more special. So much prestige is invested in the badge, and despite this being a more practical Porsche than usual (it comes with ISOFIX child seat mounts), it’s still got that bit of va-va voom that sets it apart from pretenders.